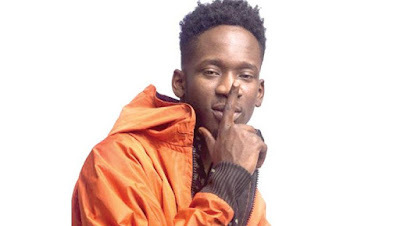 In a recent interview, Mr Eazi revealed what will come as a shock to many of his fans, the Leg Over singer revealed that he does not own a car. He stated that he preferred using Uber. He said, “If your self-esteem is based on how much you have in your bank account, then you have a serious self-esteem issue. Right from when I sang my very first song, someone offered me N80m record deal but I turned it down and at the time, I did not have N300,000 in my account. My first record deal offer from the UK was £356,000, I turned it down but at the time, I had done a tour and the total amount I earned was £12,500. I used the money to shoot the videos of some of my songs. I was left with £20; they were offering me £365,000, but I turned it down. The reason I did that was because my value was not dependent on what was in my account. Till today, I use Uber but I do not care and by the way, I don’t even pay for the ride because I was given Uber credit. But if you see me in the Uber vehicle and feel that Mr Eazi is poor, what is my business with that? For instance, everybody around me has cars, and besides, I buy cars for people. If it makes sense for me to use an Uber, why should I drive? Why would I pay about N100m for a car that I would probably drive just five times a year?